NVIDIA Ansel GPU Technology Explained - SKOAR! NVIDIA announced quite a few interesting technologies at their recent Pascal GPU unveiling and one technology in particular, NVIDIA Ansel managed to grab quite a few eyeballs. So what’s all the hype about? Read on to know more. Not every studio indulges in rampant reuse of video game assets, there are plenty who put a lot of effort into making their game into a truly immersive experience. And every now and then you’ll come across a breathtaking view ingame such as this one. I for one, am not in favour of ogling at Geralt’s behind (not that there’s anything wrong with it). I’d rather enjoy the scenery and get Geralt out of the way. So far, unless the game had a provision for removing the character model from within the view cone, this wouldn’t have been possible. And it’s not just Witcher 3’s beautiful world that we’re talking of here, you could be playing the latest football arcade game (FIFA / PES) and you’d want to experience that goal you’ve just scored from every single angle possible, just like what your favourite sports channel does highlight reels. All of these situations require 3D free roam for the in-game camera and only few games had that provision, provided you knew the appropriate console commands. 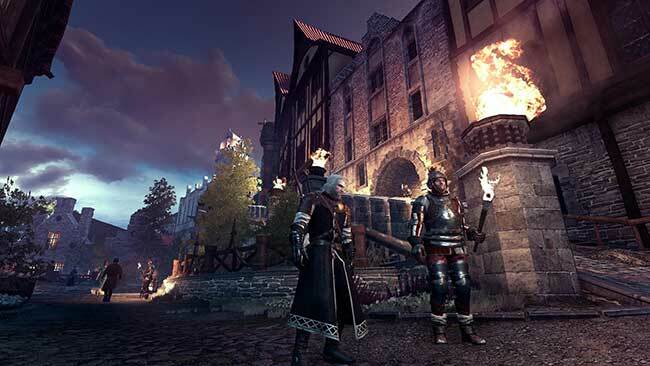 Well not anymore, at the recent unveiling of NVIDIA’s latest GPU architecture – Pascal, the graphics technology company introduced Ansel, a tool to do just that. This may well be that moment in history when gaming suddenly became all the more attractive to the Instagram generation. Because in the most simplest of words, that’s what Ansel is, a free roam camera with Instagram filters. We aren’t trying to be patronising by any means, and there’s a lot more to Ansel than just what we’ve mentioned. Let’s take a look at its features in greater detail. Game characters generally traverse the map in 3D space but with very less movement along the Y-axis. And even if you can move the character around, you are limited by where all your character can move, if you were to stand upon a cliff, there’d be no way to take a screenshot from the free space overlooking the cliff unless *sigh* you had a jetpack on a secondary character. 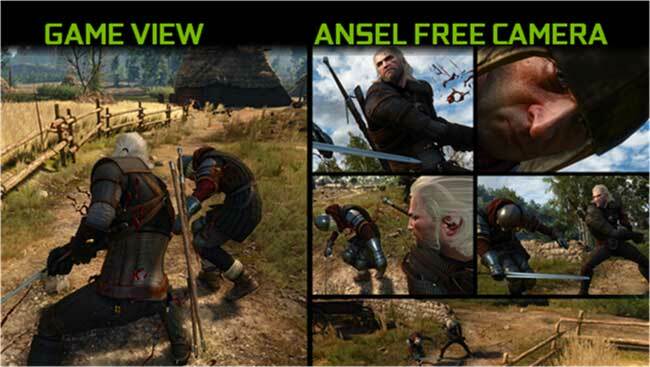 Ansel allows you to move the camera around in 3D space with complete freedom. You could very well be looking at your character from far above in the cloud or peeking up straight into his/her nostrils. The Instagram part. Instead of having to rely on a third-party software which will considerably require more time to be expended, you now have the ability to apply post process filters onto your freshly shot screenshots and upload them straight away into whatever game client you may be using. While the entire list of post process filters haven’t been released, we know that the following are definitely available – Film grain, Black & White, Hue Shift and Sepia. If you’ve ever seen those super saturated images like the one below then you probably know what HDR is. For the uninitiated, HDR or High Dynamic Range is the equivalent of combining a multitude of images shot across varying exposure levels. 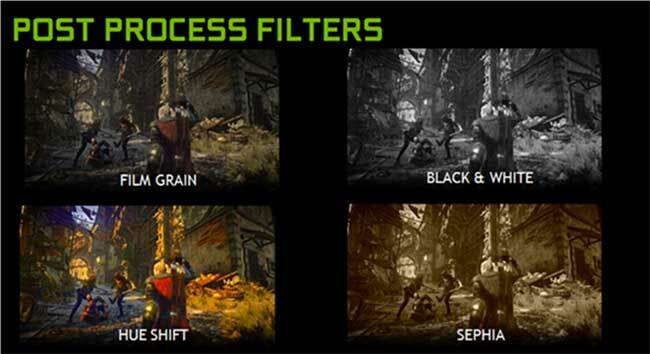 So the level of detail in darker and brighter regions are preserved, this is not possible using normal photography. 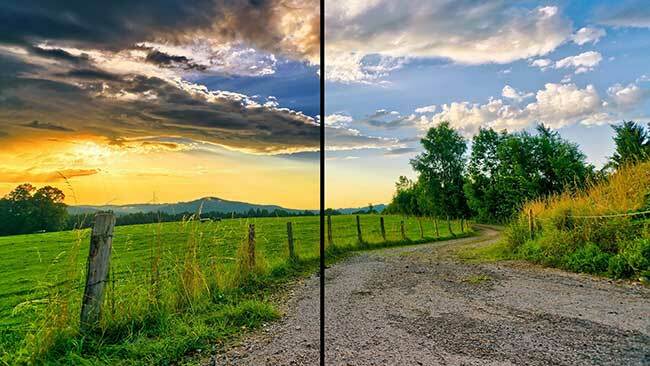 With HDR in games, you will be able to capture game screenshots with a really wide colour spectrum that what is normally visible during your gaming run. Here’s a screenshot from Witcher 3, you can see how the details are really pronounced in the darker regions of the image. 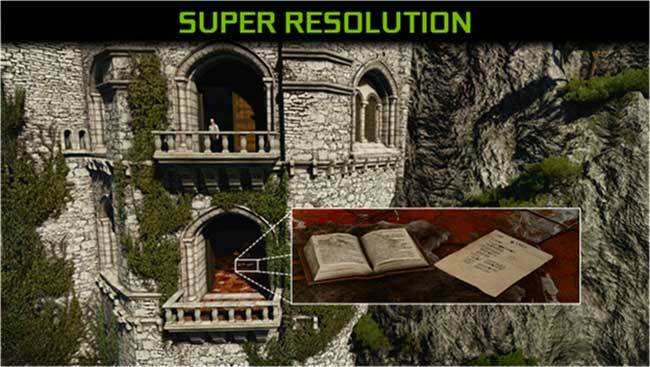 When Maxwell was launched a year and a half back, NVIDIA had announced DSR or Dynamic Super Resolution where scenes were rendered at a higher resolution and scaled down to provide for much higher level of detail. With Ansel’s Super Resolution, they’ve taken it a step further by rendering static images by a scale of 32 to capture images that are up to 8 Gigapixels in size. Imagine a DSLR with a image sensor that’s as big as your face taking pictures, Super Resolution does pretty much that in the video game world. If they ever decide to use this to create a ‘Where’s Waldo?’ (Where’s Wally?) video game, then you’re pretty much destined to never find Wally. The name pretty much gives it away, this feature of Ansel allows you to capture 360 degree photospheres ingame. You can them export these images to your PC or your mobile phone and view them at your pleasure. 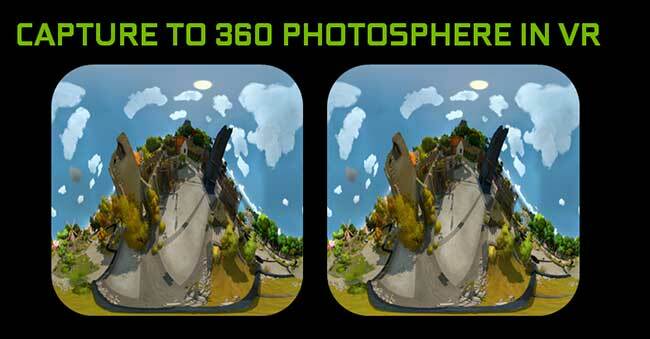 NVIDIA has released a new app called the NVIDIA VR Viewer (link) for Android smartphones and if you happen to be among the lucky few who’ve actually received their pre-ordered VR HMDs then you can fire up Steam and install Virtual Desktop (link) to view your photospheres. In case you hadn’t figured it out yet, NVIDIA Ansel isn’t just a driver upgrade. Game developers have to incorporate the Ansel API into their games before the destined driver update enables Ansel on your NVIDIA powered gaming machine. All you need for NVIDIA Ansel to work is any NVIDIA GTX graphics card upwards of the 600 series. Here is the list of supported graphics cards. GTX 650, GTX 650 Ti, GTX 660, GTX 660 Ti, GTX 670, GTX 680 and GTX 690. GTX 750, GTX 750 Ti, GTX 760, GTX 760 Ti, GTX 770, GTX 780, GTX 780 Ti, GTX TITAN, GTX TITAN BLACK and GTX TITAN Z.
GTX 950, GTX 960, GTX 970, GTX 980, GTX 980 Ti and GTX TITAN X.
GTX 1080 and GTX 1070.